The DTT set top box market continues to expand, as countries migrate from standard definition TV to high definition programmes, and digital video recorders become more important. New products like hybrid web-to-TV set top boxes also will contribute to the long-term growth of DTT STBs pushing revenues to nearly $6 billion by 2014, says In-Stat. – Europe is embracing High Definition and optional Pay-TV services. – DVB-T2 will provide a second growth phase for Europe. – Hybrid Broadcast Broadband services and the UK’s YouView approach will increase demand for HD STBs equipped with disk drives and broadband connections. – Intel is entering the DTT STB market with Metrological’s YuiXX Hybrid STB, Amino’s Freedom box, Google TV, and others. – Africa and Latin America will “leapfrog” directly to MPEG-4 HD and spur long-term growth. – Semiconductor TAM for all DTT STBs will exceed US$ 500 million in 2014, with approximately 80 per cent of the TAM coming from HD boxes. – Licensing fees are a significant cost of manufacturing HD DTT boxes. 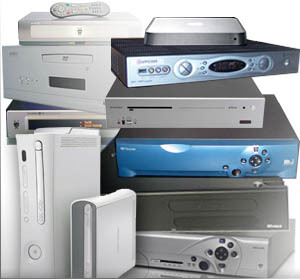 By 2014, licensing will account for a higher per centage of the total Bill of Materials (BOM) than Decoders, Tuners or Memory devices.